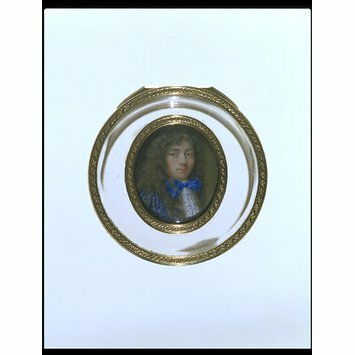 Miniature enamel self-portrait set in crystal comfit box. 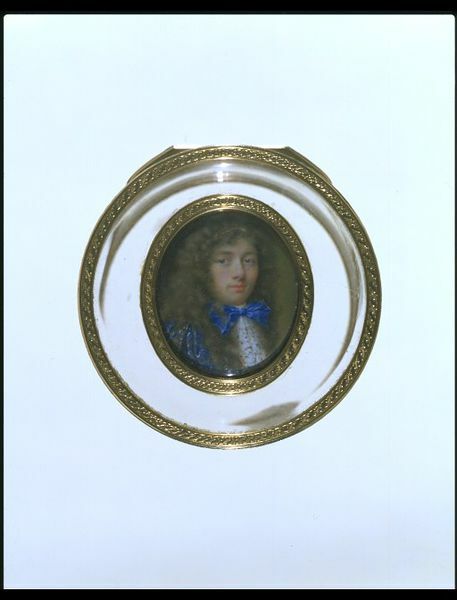 Miniature enamel self-portrait of Jean Petitot, the younger, set in the lid of a circular crystal comfit box. 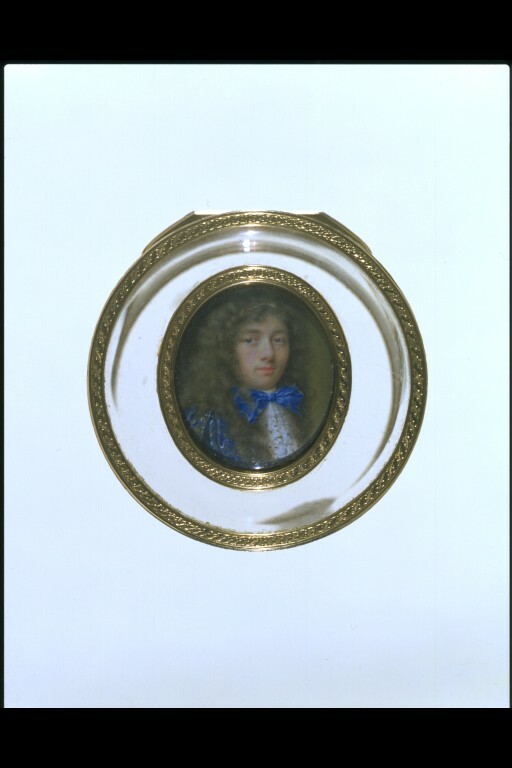 France, 1679.